As conflict erupts in Ajdabiya in tandem with the signing of the UN deal, the city is witnessing a deepening rift between supporters of the LNA units under the command of Khalifa Hafter, and supporters of the Islamist factions. 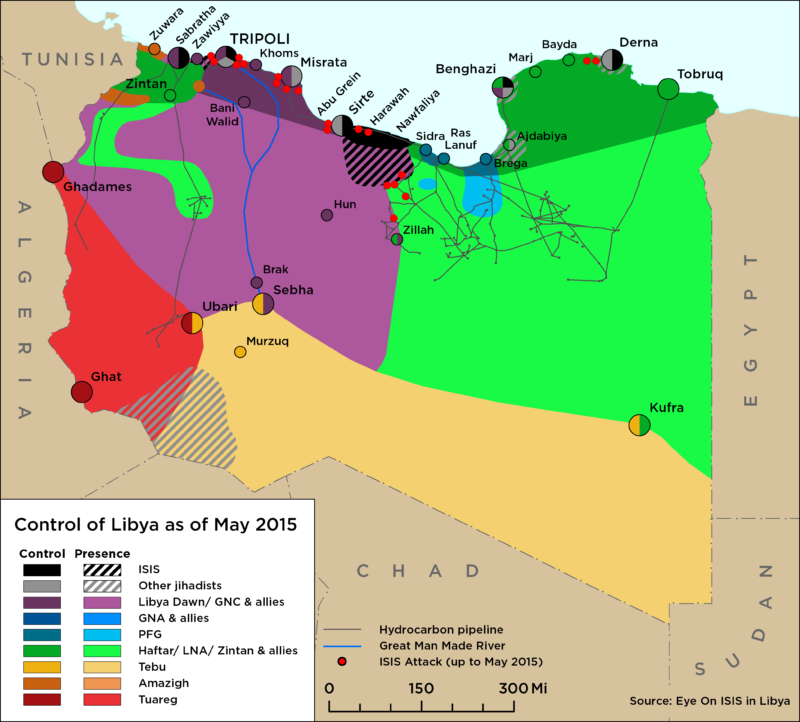 These rifts are preventing political and tribal agreement on who is ISIS and how ISIS is to be fought, with the city council of Ajdabiya (under the influence of the Federalist Jadhran brothers) struggling to maintain a neutral position in the conflict and avoid a repeat of the Benghazi Scenario. 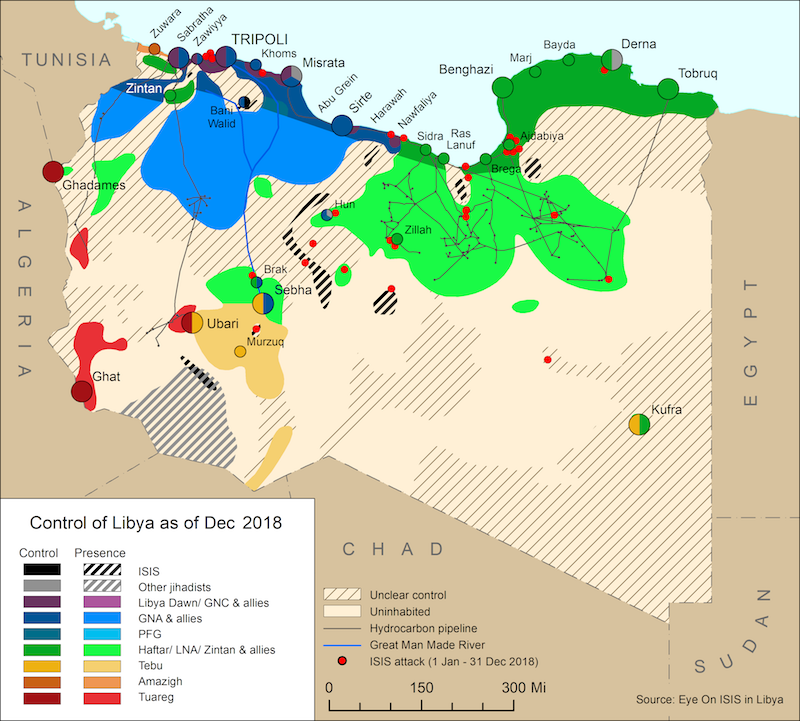 While many in the city, even Islamist affiliated forces, agree on the threat posed by IS, the indiscriminate targeting and lumping of all Islamist militias by the LNA as IS is still inhibiting a united front against the organization. Ibrahim Jadhran, who heads the Petroleum Facilities Guard (PFG) forces is under intense pressure to lead his forces in an active role in the fight against ISIS in the region, but the close ties between the PFG and ARSC militias makes this unlikely. Reports of PFG units deserting their posts in Brega port and nearby areas after IS elements were spotted last week, leaving only expat workers, highlight these concerns. Despite attempts by the PFG to main neutrality in the current conflict, the PFG are likely to be dragged into it, possibly splitting the force and severely weakening capacity to secure these ports. In Sabratha, after the latest explosion destroying the old intelligence building in the city, the council issued a strong statement and began taking urgent steps to mitigate the threat, implementing a state of emergency throughout the city, establishing a joint operations room, setting up barricades and checkpoints and beginning a registration of all foreigners throughout the city. In Derna, the battle between the Derna Mujahedeen Shura Council and IS to the south and east of the city remains ongoing, intensifying from time to time mainly in the Al Sahel and 400-residence areas. IS are entrenched in a high position in Al Khatba, overlooking the eastern coastline of the city, and are still randomly shelling the city. IS also released pictures of its battles with DMSC forces in Derna, and issued a statement claiming the detonation of an IED against DMSC forces in al-Daybani Street. In addition to its aerial blockade, the LNA air force expanded its previous no-sail zone near Derna, and it now stretches from the small port of Tamimi, 20 km east of Derna, all the way to Benghazi. IF YOU WOULD LIKE TO SEE A PHOTO COLLAGE OF ISLAMIC STATE ACTIONS AND VISUAL MATERIAL FROM THE PAST WEEK, CLICK HERE TO DOWNLOAD THIS SAFE ZIPFILE.